Detective Rio Segawa (Nao Matsushita) works at the Oimachi Police Precinct. She chases a criminal for an entire month. Rio finally finds the criminal and goes in hot pursuit, but, during her pursuit, Detective Rio falls down from a gunshot by the criminal. 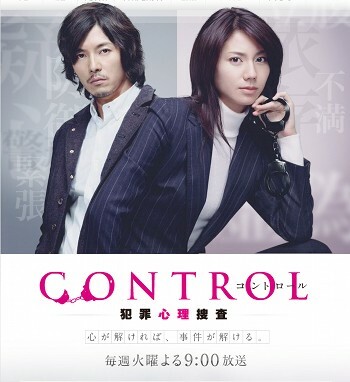 2 months later, as soon as Detective Rio comes back to the police force, she is ordered to transfer to the Tokyo Metropolitan Police’s Violent Crimes Division. When Detective Rio arrives at the Tokyo Metropolitan Police’s Violent Crimes Division, news of a random street attack arrives. Detectives Kei Teranishi (Yu Yokoyama), Mikiya Iwasaki (Yukiya Kitamura) & Masato Eto (Yoshiaki Yoza) rushes out before Rio can properly introduce herself. Section head Shoji Koitabashi (Masanobu Katsumura) and Kozo Sugiura (Shigeru Izumiya) are the only men left in the office and they order Rio to go to Ryonan University to pick up someone she will work with. That person is a psychology professor Jun Nagumo (Naohito Fujiki). When Rio arrives at Ryonan University, Jun Nagumo is giving a lecture on human behavioral psychology based on footage when Rio got shot. Nagumo got the images from an acquaintance at the Tokyo Metropolitan Police Department. TheZooQueen Mar 03 2011 11:24 am @ OosakiNana707 I know right?! :) Only Mr Brain was funnier!!! TheZooQueen Jan 29 2011 7:30 pm Ginga no Hoshikuzu by Kuwata Keisuke. I cant find it online yet, but the album “MUSICMAN“ that it will be on was postponed because of his cancer treatment. I love the song! does anyone know who the artist of the ending song is?